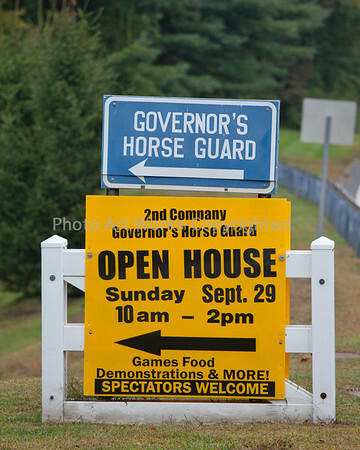 The 2nd Company Governor's Horse Guard held their Open House September 29th 2013 on the grounds of their headquarters located in Newtown, CT. The day which started off as foggy turned into a beautiful day with spectacular blue skies. Spectators enjoyed the diversity ranging from the Horse Guard's Musical Ride, Calvary Demonstrations, games, face painting, and horseback rides for the kids, to grilled hamburgers and hot dogs. Like an old fashioned relaxing day spent with family it is a wonderful way to meet the Troopers and horses of the 2nd Company and to enjoy the beauty of the grounds.